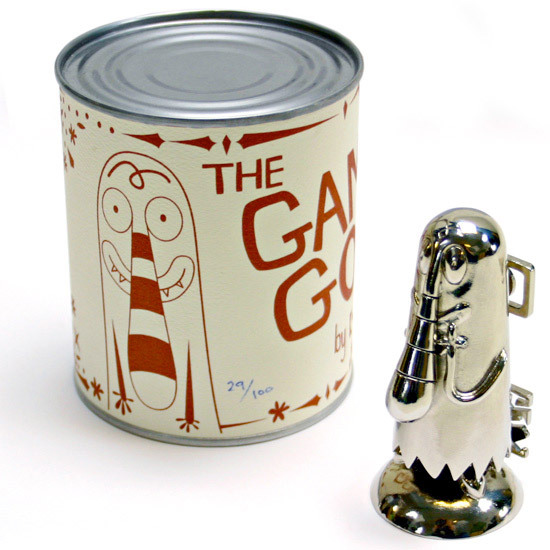 GAMA-Goon is the latest to join GAMA-GO’s stable of critters; it’s actually an eight-year old design. 99 will be made in chrome, with one made out of gold. They come in the retro tin seen above.